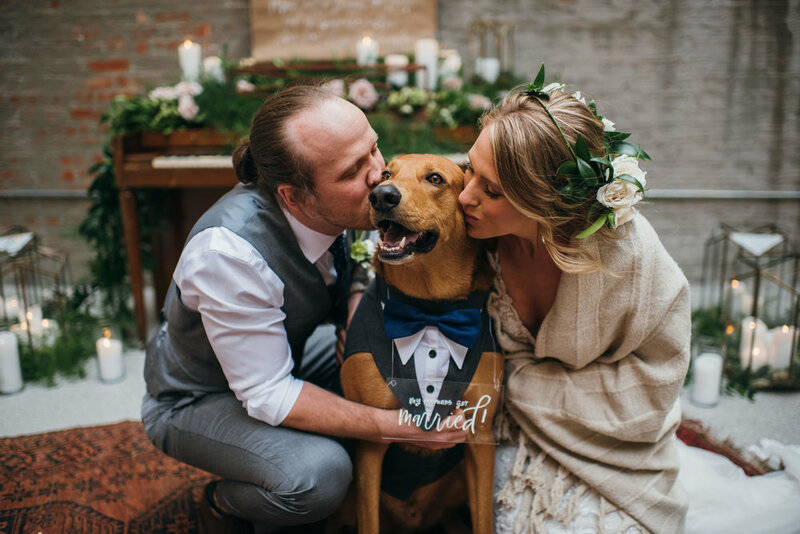 We had the privilege of designing the most intimate space for them to exchange their love! 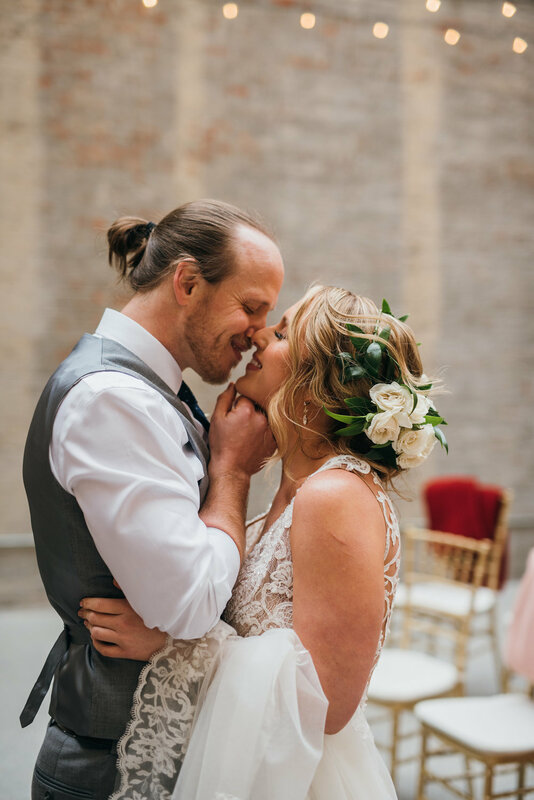 Kate and Chris shared a undeniable love for each other but also for music, which was the driving force behind most of our inspiration. 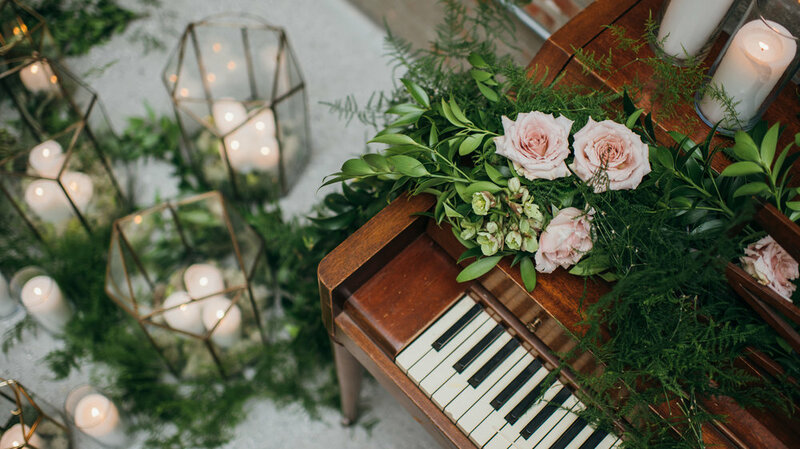 We were able to salvage an antique piano which after draped in garlands of florals and candles but the magical team at Rose and Honey made the perfect backdrop. 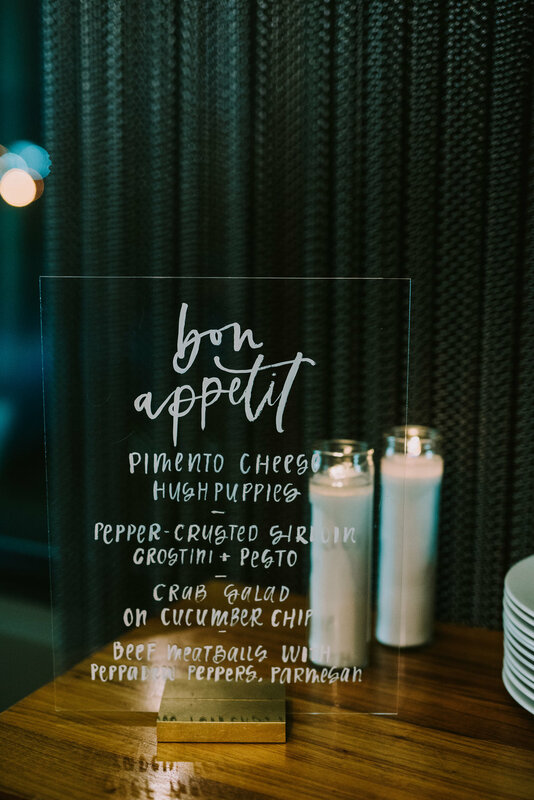 They had selected the song “Golden” by My Morning Jacket as their procession song, which we had hand lettered on a craft scroll by Riley & Co, which was the most wonderful take away for the couple. 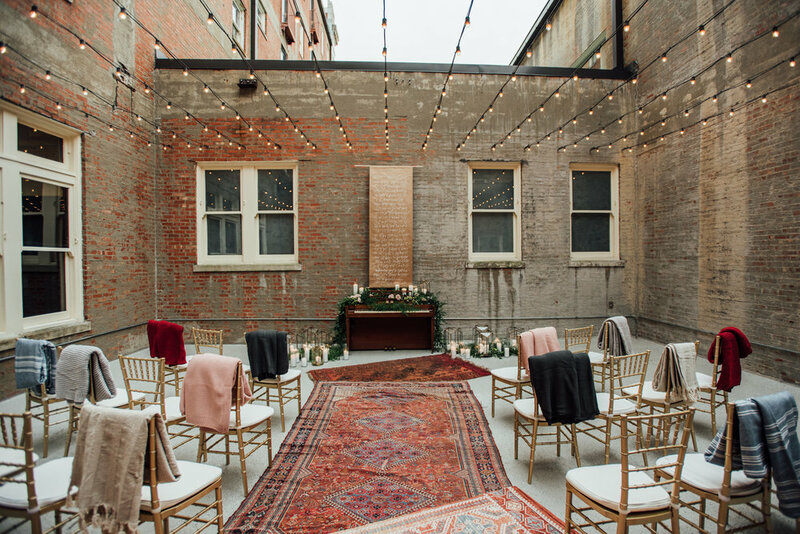 So how do you create an aisle on a patio, well we chose vintage rugs ! 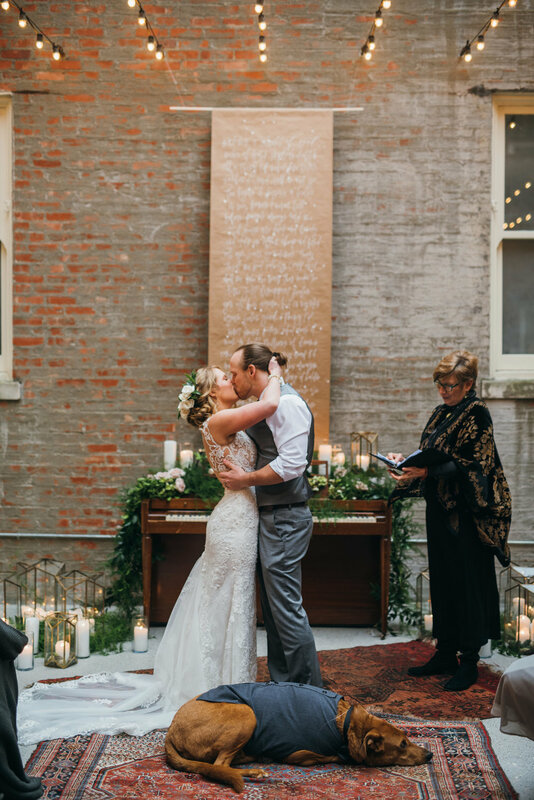 Not only did they warm up the space but added the perfect softness and color to those concrete floors and brick walls. 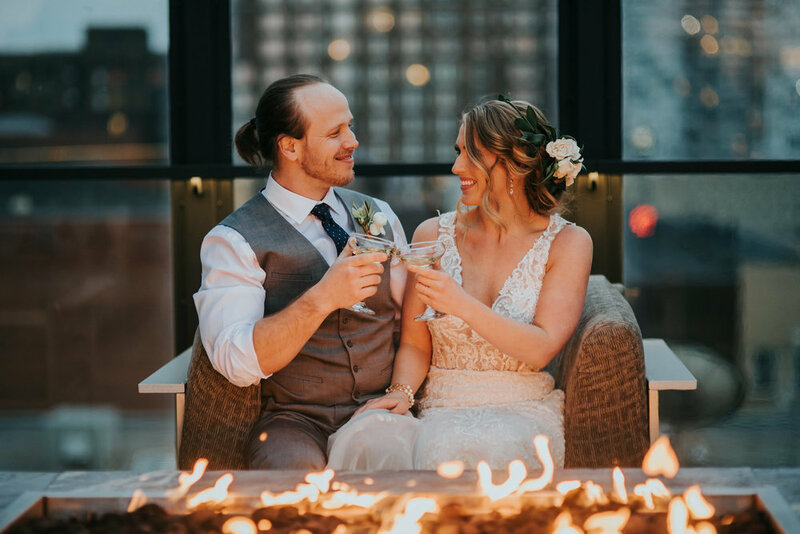 The evening was brisk but we wanted everyone who joined to stay warm and take in each precious moment, so we took a quick trip out and grabbed the coziest blankets we could find to throw over the chairs! 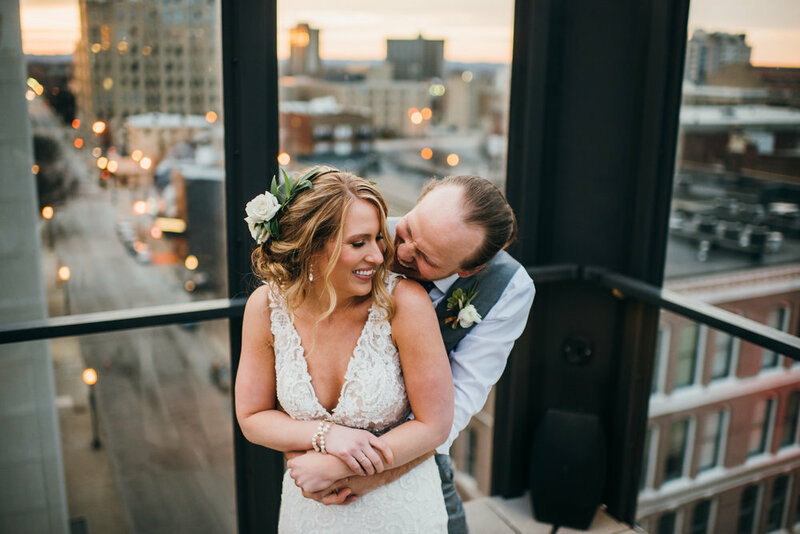 The couple ended their night with the a skyline and cake at the unforgettable 8UP rooftop elevated eatery!